WE HAVE STOPPED TAKING ORDER AND CONCENTRATE ON CONDUCTING BAKING AND DECORATING CLASSES ONLY AT THE MOMENT. 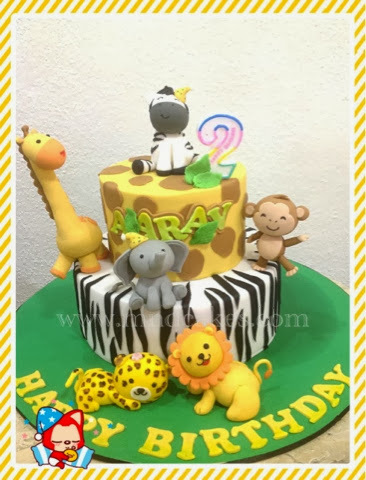 I made this safari animals themed cake for little Melanie and it was the second 1st birthday cake we had made for the family. 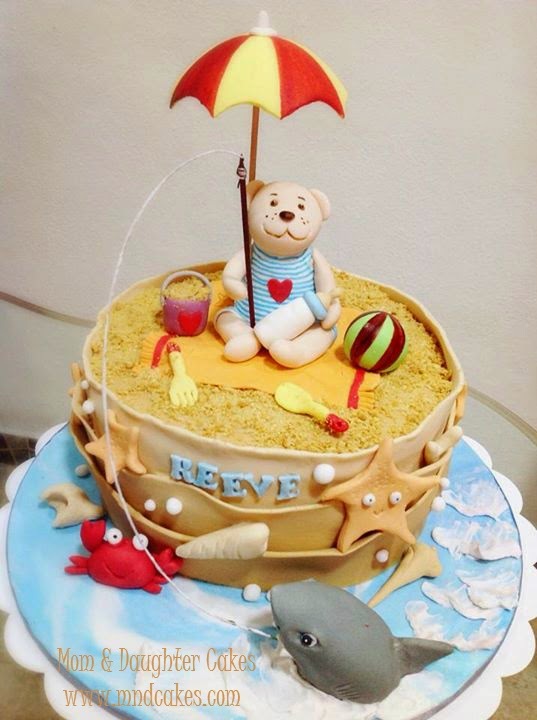 Melanie's sister got our ever popular FF bears cake. Besides bears, safari animals can be equally cute in the right shapes and colors, don't you agree? I love the color combination of purple and pink. I used to mix blue and red or pink to get purple color but Americolor range of purple, I didn't have to do that and the purple obtained was clean and clear. The trees were made of styrofoam inside, just poke it with satay skewers, they were ready to stand upright. 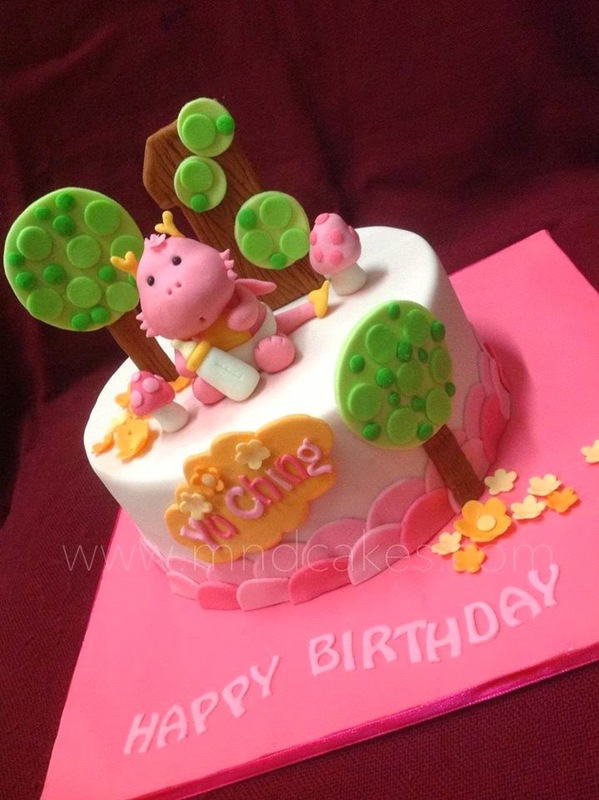 If you'd like to have a cute safari animals themed cake for your kid or to learn the making of the cake, feel free to contact us. Have a nice day! 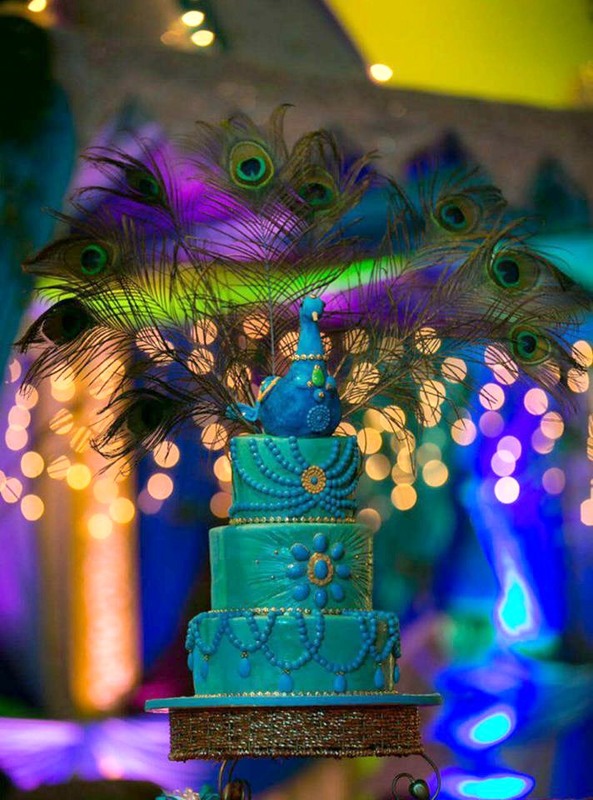 The peacock wedding cake is so popular among Indians. This is our latest peacock cake design. Instead of gumpaste feathers, the client requested for 'real' feathers, she bought the features from Little India, Penang. The cake was decorated with lotsa sugar beads and stones. I tried to make them shine by brushing a layer of corn syrup on them. The peacock looked more natural as compared to my creation few years back, do you agree? When I look at my cake, I tend to forget about the flavours of cake that I did. Perhaps I should come out with more interesting new flavours that would make an impact into my brain. Oh yeah, recently, I have finally included red velvet flavour into our flavour list. Also, we have this traditional pandan flavour added. Within a short period of introduction, the red velvet cake has gained some good comments from our clients. Red velvet plus cream cheese is simply killing to my own tastebuds, I guess you should give it a try too. I love ponies. To make these ponies, it took me 2 days, they were much more difficult to make than I had thought of. I was extremely happy with the result though. Every details count, especially their eyes, three of them had three different eye shapes, brows and colors. As we know, the soul of an animal is portrayed from its eyes, once its soul is 'created', it is alive. 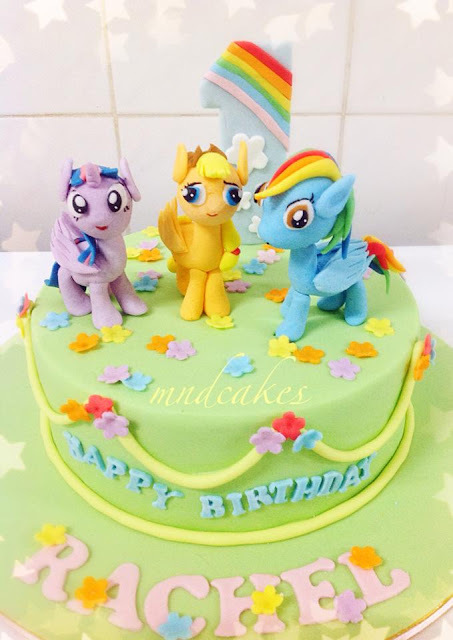 I used a mixture of gumpaste and fondant to sculpt them, not the usual CMC added fondant. It helped to strengthen the structures, the ponies wouldn't fall in the process of drying and they would stand firm for a long time. Modelling of sugar figurines is therapeutic if you're not in a rush to finish it off, that's the reason that I have always wished that I could have plenty of time to execute a cake design. However, in commercial world, it's simply a luxurious dream for me. 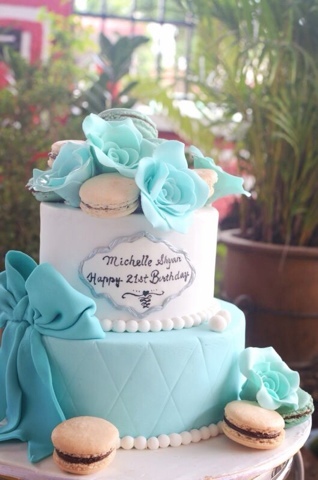 What kind of cake design would you like to have for your 21st birthday? I remember we used to have key shaped cakes many years back, hahah, it's old fashioned and outdated ya? Yes, people would ask for something more trendy and fancy these days. The youngsters today have their own thought and preference too, they would tell you exactly what they want. 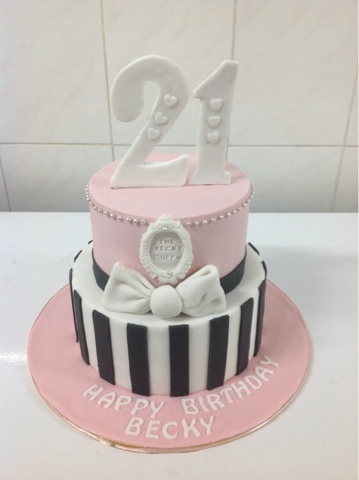 I didn't get to do 21st birthday cakes often until this year. 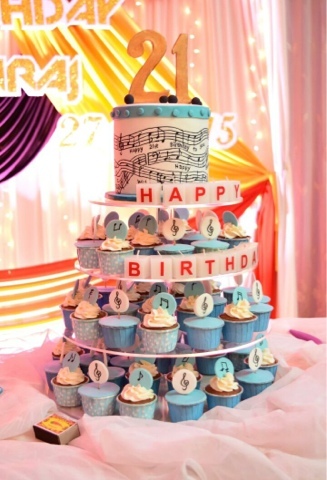 From fancy floral designs to musical theme, 21st birthday has become a more significant milestone in life. 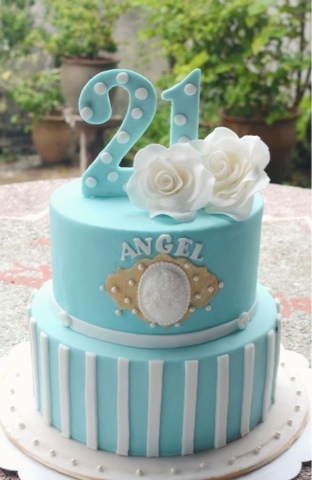 If you have your own idea of 21st birthday cake, do share it here. I'd see if I get the chance of executing it. I would like to do more boyish theme 21st birthday cake, e.g. 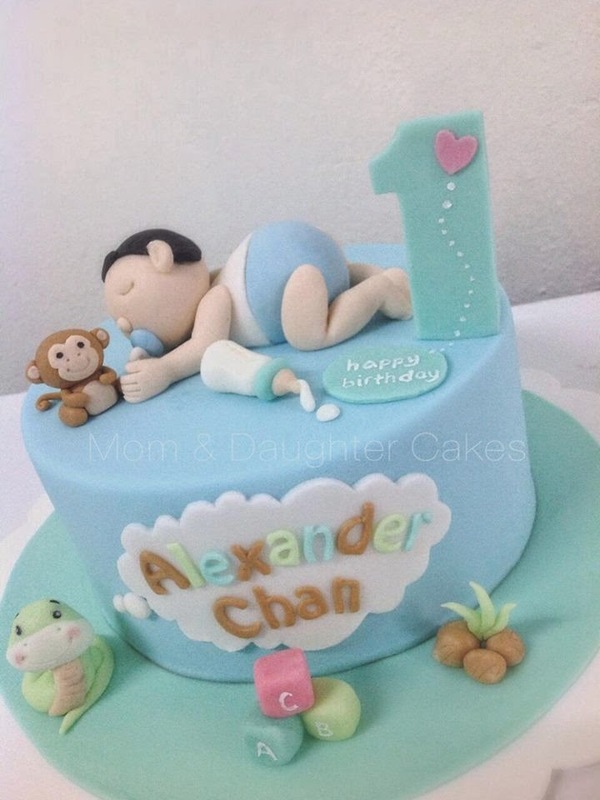 cake with dream, I supposed it's an ambitious age, what would he like to be or do or own in the next 10 years? Bring it up to his 21st birthday cake and let the cake remind him of what he wants and works on it. Isn't it a good idea? I looked back my cake pictures kept in my computer and found this adorable white cat cake. I remember it was shared on my FB page as soon as it was picked up by Valerie's mum. 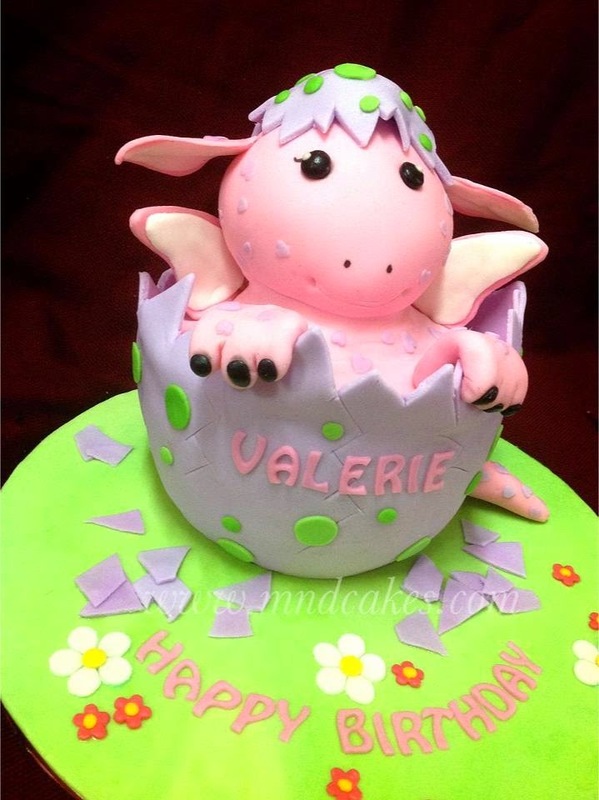 It was special as it's the 2nd cake ordered for Valerie since her 1st birthday cake -- a baby dragon cake and the cake was designed by her mum, how talented and loving she is. 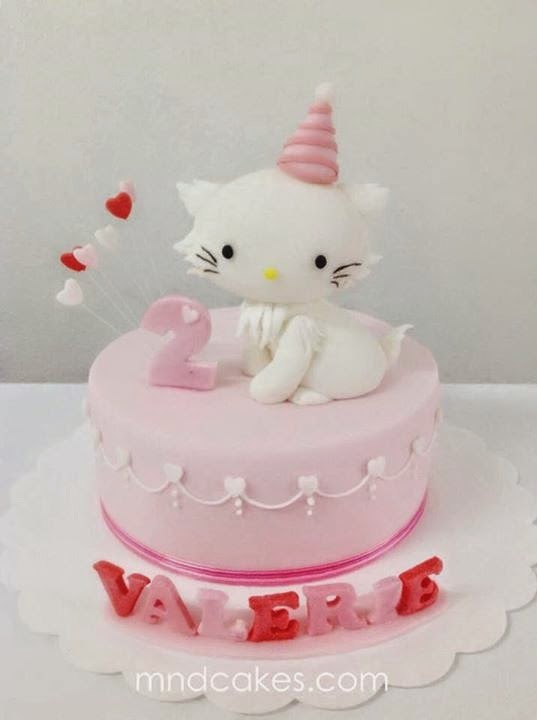 I tried my best to execute the sweet girlish design which includes a handcrafted white cat (I guess she has a name) then there is basic stringwork with little heart decor surrounding the cake. It looks simple but absolutely lovely! Valerie is definitely one of the luckiest kids in the world. Chinese New Year is around the corner, it's an important occasion for us Chinese. There is a saying, "一年之计在于春" which means a plan of the year should be made in the spring, the beginning of the year in lunar calendar. So, I have better started to plan. 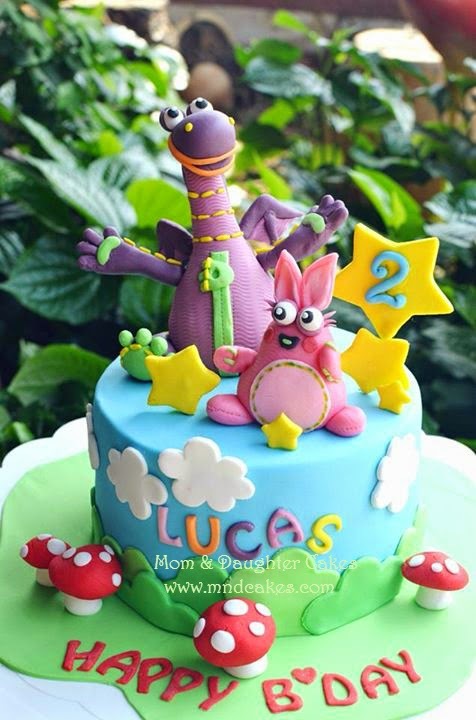 I have been planning to share my caking techniques but due to tight schedule, I could hardly make it happen. Perhaps it's time for me to put this plan in priority this year. Every good post needs good pictures. My photography skill has to be improved. I bought a better camera recently, hopefully I will put it into good use and do some styling on my cakes and desserts ? My ultimate goal for this year is to share what I know about cakes via this blog, tutorials and also an e-book. 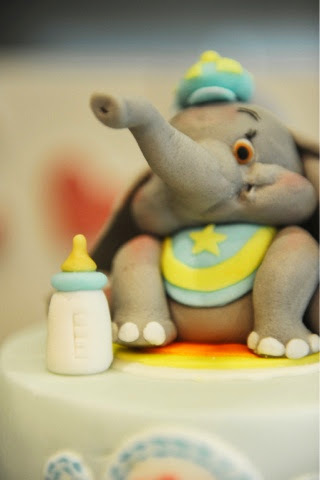 I will do it step by step, if you like to learn anything about my cakes, feel free to drop me an email. Snake baby turns one this year. As promised, today I would like to highlight about snake zodiac. Snake people, ha ha...I mean those born in the year of snake are not evil like what we thought about the Snake who seduced Eve into sin, but they are charming, intellectual and generous with family and friends. When snake baby is celebrating a joint birthday with his grandmother. 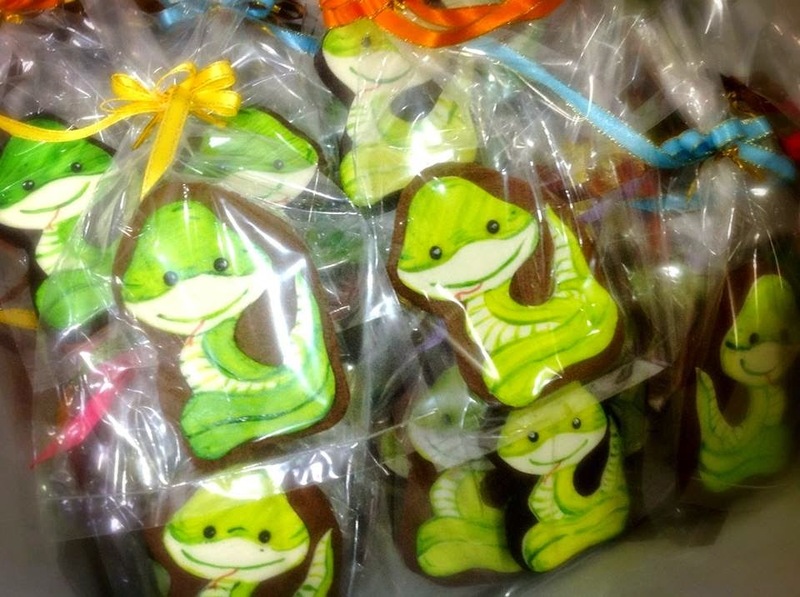 Snake cookies as door gifts. Chinese have 12 zodiac signs to symbolize the characters of people born on each particular zodiac year. These 12 zodiacs are rotating in a sequence every 12 years. For example, 2012 was the year of dragon and last year was the year of snake. 12 years later, i.e. 2025 would be the year of snake again. 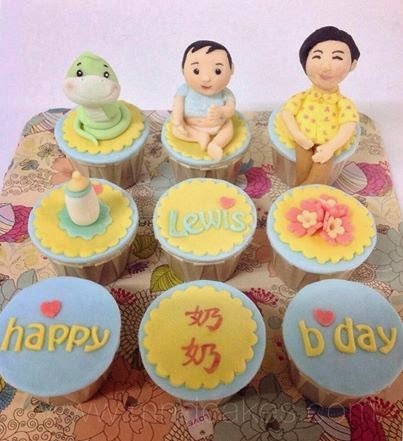 Baby born on the year of the zodiac would be baby of the zodiac. 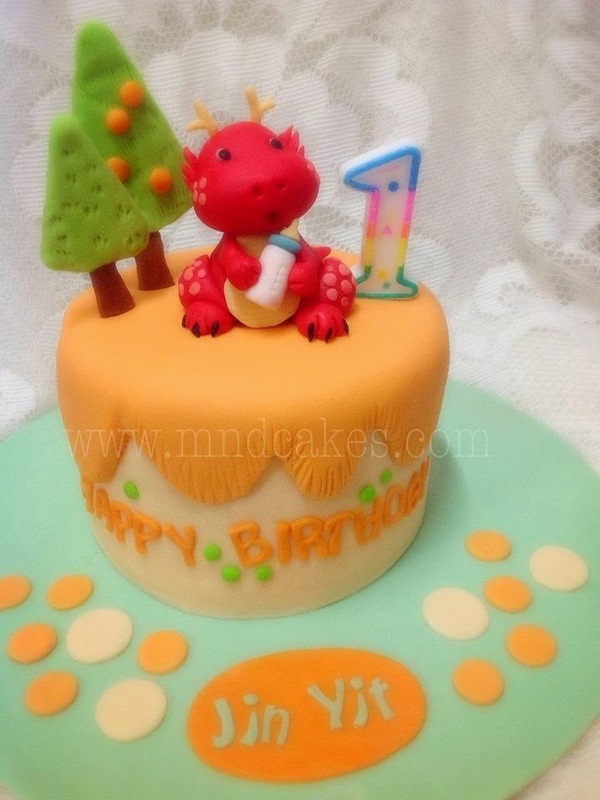 Thus, we are celebrating first year birthday of snake babies this year and dragon babies last year. Dragon babies are believed to be perfectionist, aggressive and determined. Most traditional Chinese like to have dragon babies as they believe the kids would grow up to be successful persons. 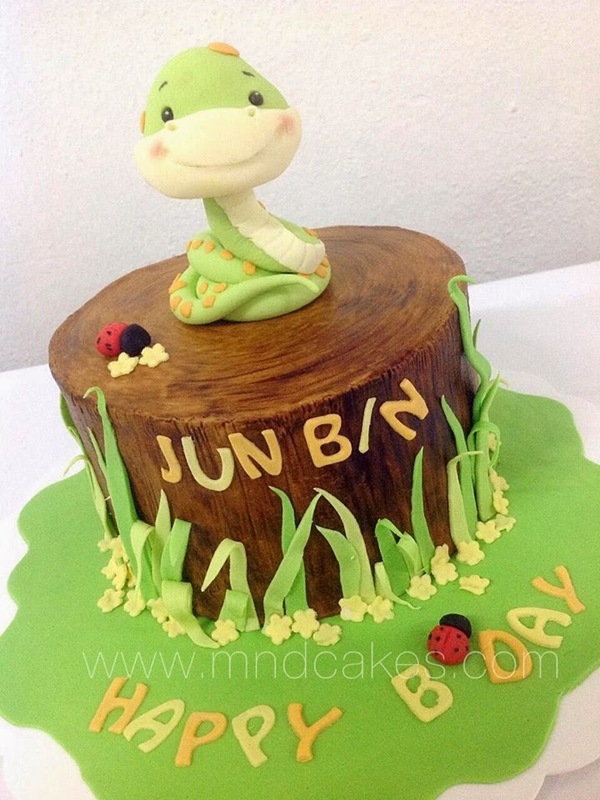 I will feature snake year babies cake and cupcakes tomorrow, stay tuned. 3D baby dragon is hatching, beware!! We made this dessert table for a friend's baby's full moon (or full month, 满月) celebration. 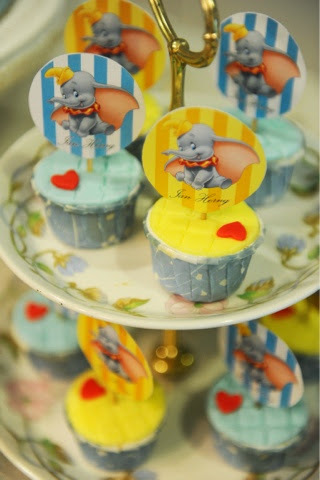 It was our first dessert table and the theme was baby Dumbo! We were excited with our new venture. Designing and preparing a dessert table were something new and challenging for us. 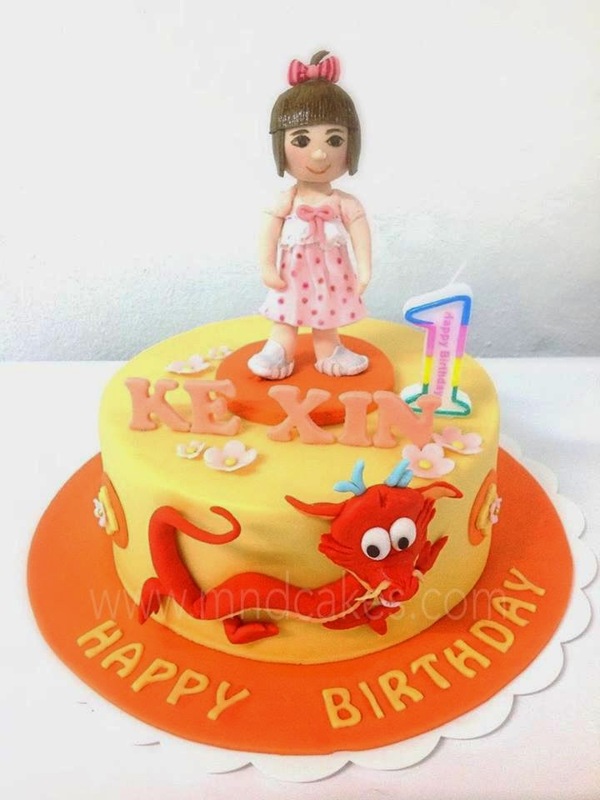 Hence, we were extremely careful in planning, matching the colours, desserts and types of containers, not forgetting the labels, picks, banners and poster etc before actually producing all the cake and non-cake materials. It's a lot of work but we truly enjoyed the process. When every pieces came together, it was like an accomplishment of a project, you felt the joy and happiness! 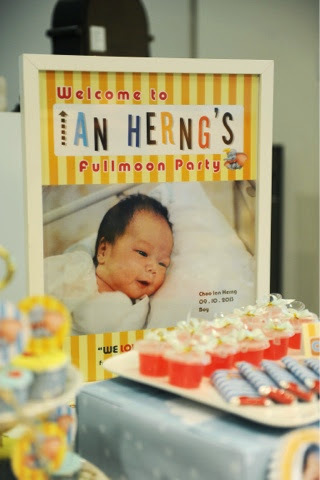 Welcome to baby Ian Herng's full moon party. 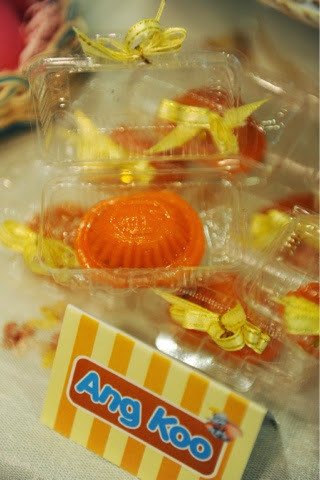 We had mini jelly cups and chocolates with personalized wrappers for the small and big kids. 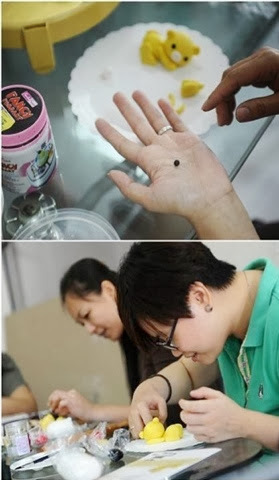 And koo, a nonya dessert made of glutinous rice (skin) and sweetened shredded coconut is a symbol of health and longivity for Chinese, especially the Hokkiens. 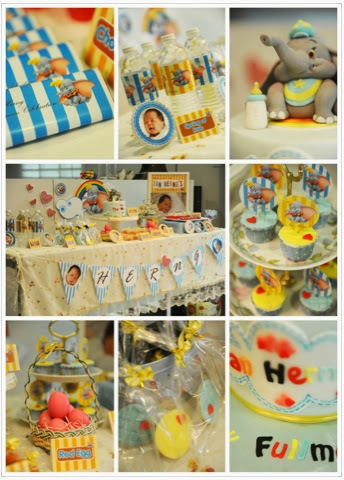 Hence, we thought it could be blended into the design of a dessert table for baby fullmoon party. 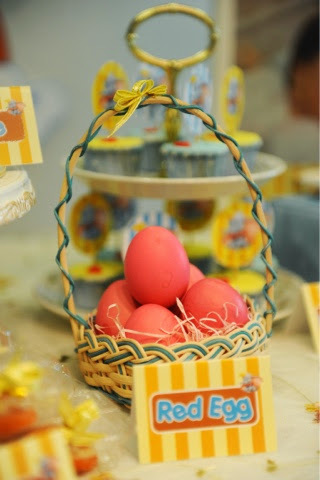 Red egg, another personalized dessert for baby full moon which symbolizes a blessed new life. We thought it was interesting to put the red eggs in a little basket stuffed with shredded colour paper, just like a nest, isn't it? 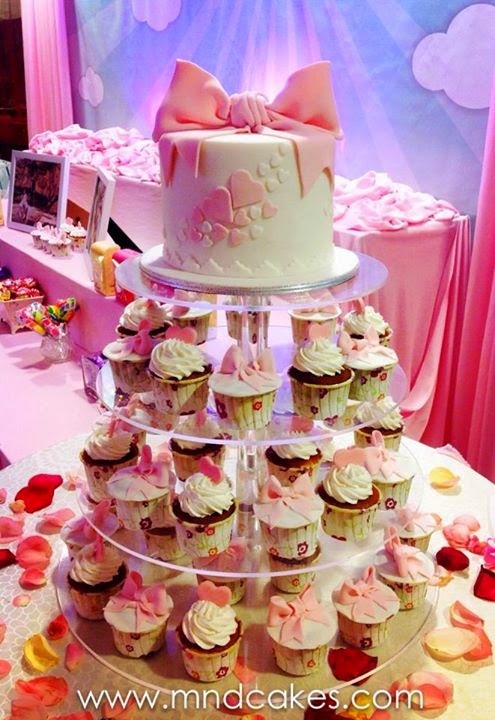 A very personalized Ian Herng's baby full moon's dessert table, hope you like it. 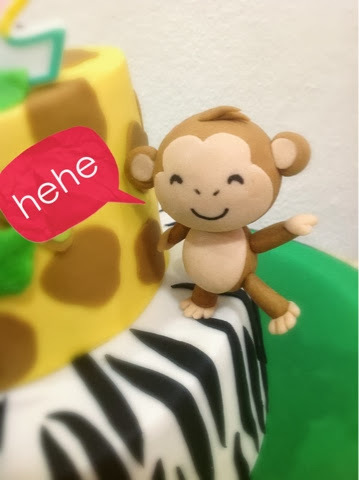 The cheeky monkey, one of our favorites. Below are the class pictures that we conducted at Aldelice. Please email us should you are interested to join our mailing list for future classes. I was so excited when I was commissioned this 3D train cake. When I was shown a sample of the cake done by the magnificent Australian cake designer Verusca Walker, I was quite thrilled and questioned myself if I was able to do it. The main challenge of the cake is to get sharp edges on the square cakes which make up the train cake. As I don't ganache my cakes or I should say I'm not used to ganaching a cake which was popular among Australian cake designers, I was wondering if I could get sharp edges on the cakes? Yup, I use buttercream to crumb coat and 'seriously' cream a cake in my own way before covering it with a thin layer of fondant. 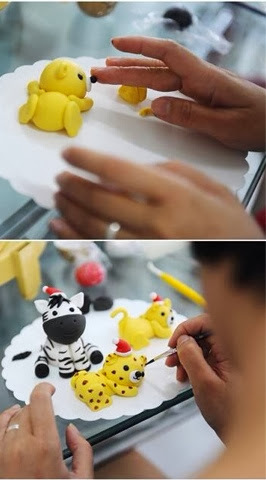 I guess most fondant cake designers are challenge takers. So am I. I just accepted the order and figured out what I gonna do next. The clients wanted to include The Simpsons figurines besides the circus animals. That's interesting, isn't it? Moreover, they liked to have road signs along the railway. Well, they asked and they got it. The cake was actually meant for a birthday co-celebration for Cindy and Daemian, where Cindy was the aunt of Daemian, a one year old toddler. Cindy simply loved The Simpsons. The clients said The Simpsons should lead the animals, so they were placed in front of the train and followed by the animals at the back. I tried to include as many animals as possible, even the penguins from Antarctica, hehe! After getting sharp edges on square cake with my buttercream technique, I am more confident that buttercream can do wonder on sharp edges. 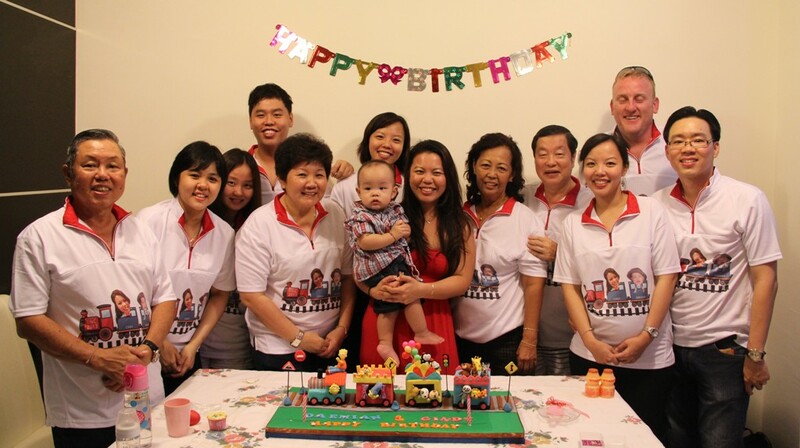 The client was so kind to send us the group picture of their party. What a united and joyful family! Look at the T-shirt they were wearing, so cute! For recent updates, please visit our FB page. Should you have any enquiry, kindly contact us. Please do not leave your enquiry via comment section under each post as we might overlook it. 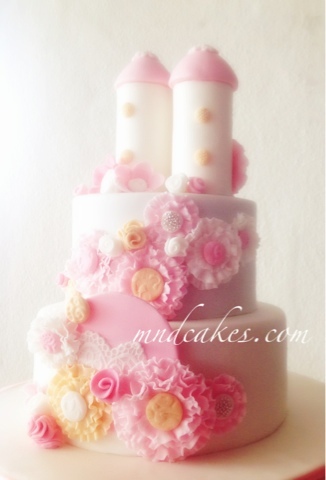 Please click pic above to visit our wedding cake blog. Copyright © 2011 Mom & Daughter Cakes. Theme images by Jason Morrow. Powered by Blogger.